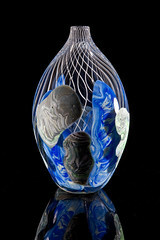 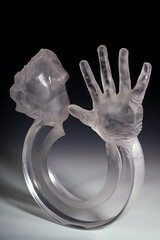 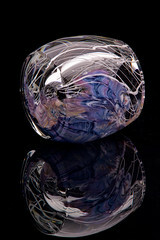 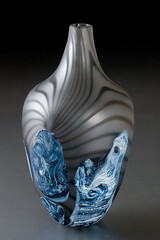 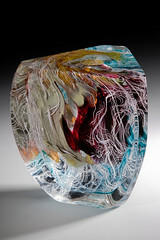 Jon Goldberg is an artist working in glass. 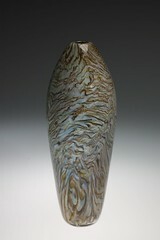 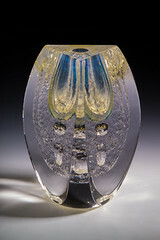 He combines techniques from different schools of glass-craft (kiln-forming, blowing and cold-working) to create primarily sculptural objects inspired by patterns found in nature. 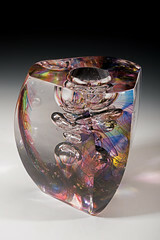 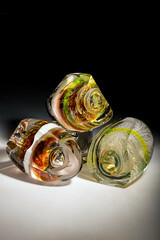 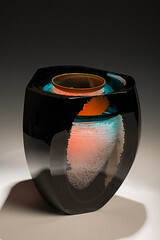 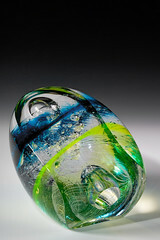 His art balances minimalist form with intricate multi-layered coloration, incorporating the unique optical qualities of glass. 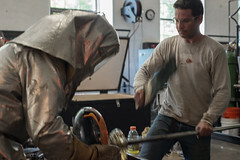 Goldberg creates his work in series, allowing evolution as new ideas are introduced and techniques are combined in different ways. 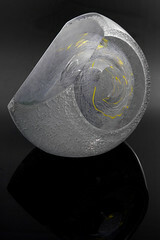 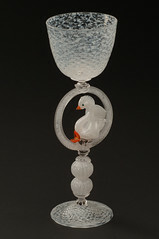 Goldberg creates work that could only be made from glass; emphasizing the material's ability to reflect and refract light. 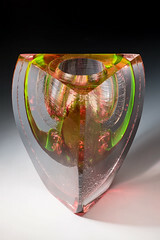 Thick walled and solid curved forms are constructed with subtly colored elements at specific depths within the clear material to maximize the optical effects. 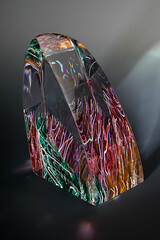 Carved facets create both windows into the work and serve as internally-reflective surfaces. 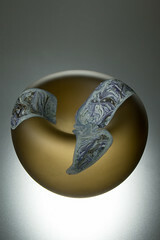 Shadows and reflections between the layers and interior walls are planned, though surprise results are frequent and welcome.